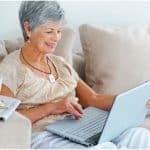 Caregiving for elderly parents over a long distance is a challenge even in the best of times – when your parents are reasonably healthy and you and your siblings are still talking to each other. Even so, a major concern is the struggle to figure out when you need to be with your aging parents in person. This worry becomes even more complicated when you realize the several full time rolls you’re responsible for as a wife or husband, a parent, and someone who works full time. Welcome to the sandwich generation! The very best way to overcome these many challenges, although certainly not foolproof, is to prepare for your parents’ safety and plan ahead for emergencies. 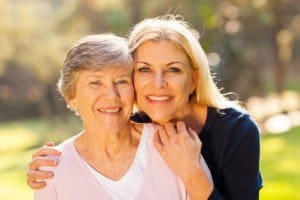 The suggestions below may not solve all your problems and answer all your questions, but they will help you better manage being a parent of your aging parents. 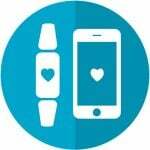 First ask yourself if you your mother of father has a reliable medical alert device. Sometimes called a Personal Emergency Response System (PERS), medical alert devices can help manage medications, and provide an immediate, hands-free way to let the medical alarm representative know there is an emergency and talk to your parents. These devices are frequently needed even in a two-parent home particularly when one parent is caring for another. For instance, the caregiving spouse may be running errands and the spouse left alone may have fallen or have a medical emergency. We’ve put together a comprehensive medical alert buyer’s guide to help you get started. 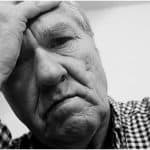 You need to know the state of your parent’s health so that you can help manage and organize their treatment and health insurance plans if necessary. Here are a few tips on how to do so. Attend the doctors’ appointments with your parent’s primary care physician and one or two of the specialists she is seeing on a regular basis, (such as a urologist or cardiologist.) Importantly, have your mother or father sign a release of information so that the doctor can share medical information with you when you are home. Before these appointments, ask you parents and your siblings if they have any questions or concerns they want you to discuss with the doctors. Make sure you have a current list of all medications, allergies, immunizations, health history and current doctor diagnosis’. Give the office your emergency contact information so they may let you know when there are significant changes in your parent’s health. Bring a list of medications you parent is taking because no one may have put the medications together from all the doctors. This also includes over-the-counter medications and supplements. As long as you’re there, ask the doctors if they can recommend community resources that might be useful for your parent. Large medical practices and hospitals may have a social worker on staff. Ask if you can speak with the social worker who may have important information about community resources. If your parent doesn’t have advance directives in place or appointed someone with medical power of attorney, this is also a good time to get those important documents completed. Make copies for yourself and your siblings.